"Vague" began, as it happened, a few months after "England's Dreaming" left off: in the post-punk diaspora of late 1979. Turning nineteen years old in sunny Salisbury, Tom Vague began by featuring local punk bands as well as all the major acts that passed through or nearby - the Banshees, the Cure, the Ruts, Joy Division, Red Krayola, the Gang of Four, Clash, Adam and the Ants. It wasn't a pure punk fanzine - it was too late for that - but matched punk irreverence with the overall feeling of experimentation that still existed at the end of the 1970's. 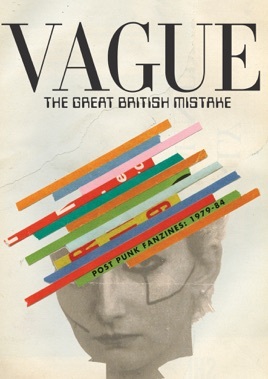 Over the first few issues, "Vague" continued to work out the possibilities of independence - in all senses of the word - that had been pioneered in 1976 by Mark Perry (fanzines) and in 1977 by Buzzcocks and the Desperate Bicycles (seven inch records). The whole point about fanzines and DIY singles was that you didn't have to do what everyone else did. 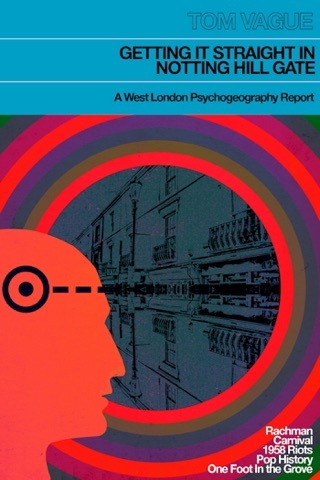 So "Vague" mixed up reviews with Perry Harris' cartoons and what Tom describes as 'stream of consciousness prose' that reflected the chaos and the intimacy of the moment. Vague followed the post-punk strands - from the Ants to Goth to Crass to Psychobillies and Positive Punks - through to the mid 80's, and Tom's commentary precisely dates the changes. In the notes for Issue 12, July 1982, he observes that 'it was around this time that the number of exaggerated Mac Curtis haircuts increased around London and Theatre of Hate indirectly started the punkabilly cult, which consisted of disillusioned young Ants fans and reformed punky types, largely Londoners. Suddenly everyone started to look like Kirk Brandon'. Tom Vague recorded the present without any thought to posterity. Because he noted the moment so thoroughly, he became a historian, providing a record of Punk's most obdurate and persistent strands. In documenting the chaos of the 1980's from within, he has preserved a forgotten narrative of that decade: not Live Aid, New Romantic Pop or Thatcher, but a dogged and anarchic strand of youth culture that persisted into the flowering of rave in the early 90's. This collection should be read by any serious enquirer into the period."